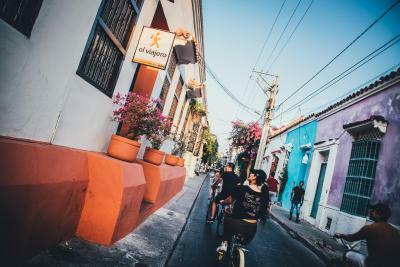 Lock in a great price for Viajero Cartagena Hostel - rated 8.6 by recent guests. We stayed in a private room with an en suite in the annexe of the hostel, which was perfect as it was quiet. I couldn't choose a better hostel. The localization is perfect, staffs are amazing. I really enjoyed my stay. The location is amazing, big rooms, good breakfast, very friendly staff and nice free coffee. Helpful and friendly staff. Great breakfast where they serve it more as a buffė so that you can take as much or as little as you want. Very clean. Great location it's close to the main square. Open roof in the hangout areas and since it doesn't rain in Cartagena it's great, just sunlight straight in during the day and stars during the evening. Small safes with combinaton codes in the rooms for your most important things and then regular storage in the rooms for the rest. Great hostel vibes, people were very social here, easy to meet new people, would stay here again if I returned to the city. Great location, friendly and helpful staff. Breakfast was amazing and facilities very clean. Good room, good bed. The breakfast has a big interval of time, it is very good. The beer is cold all the time. The games and events at night on hostel is much funny. The private room is very good, big and good bed, illumination and bathroom good too. The external area is very cool, but the bar is not opened all the time, but is ok. Excellent place to meet people. Really good atmosphere which attracts nice tourists. Breakfast, A.C., cleanliness and outdoor space is all very good. Great location. Good breakfast included. Huge facilities with a lot space to hang out. 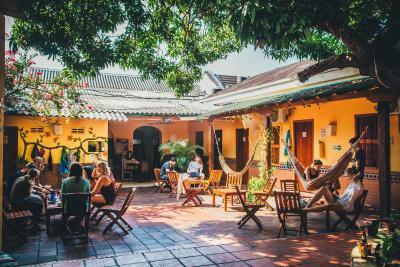 At El Viajero Hostel Cartagena guests can relax with the TV in the common room, surf the web in the Internet room or simply unwind with a drink in the colonial-style courtyard decorated with plants and tiled floors. Rooms are styled in warm hues and feature dark wood furnishings and cable TV. Some rooms have air conditioning. Lockers and safes are available. A full buffet breakfast is served daily with fresh juices and regional jams. There are BBQ facilities. 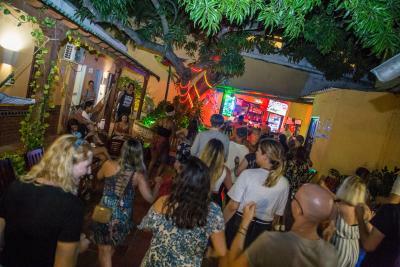 The bar carries a selection of drinks and hosts regular social activities. Cerro de la Popa is 5 blocks from El Viajero and the tour desk is ready to offer advice and free maps. There is a handy currency exchange service. 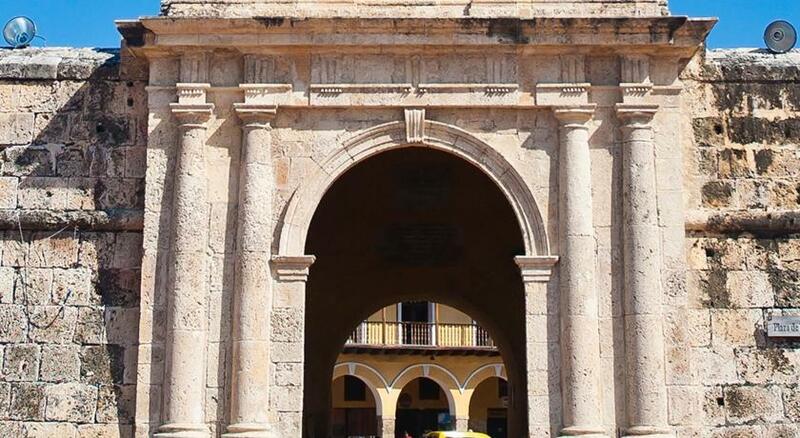 This property also has one of the best-rated locations in Cartagena de Indias! Guests are happier about it compared to other properties in the area. 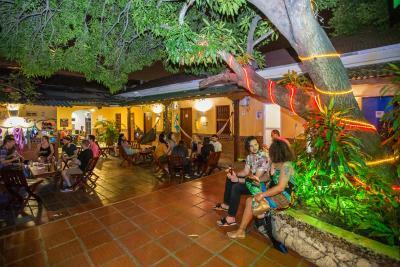 Viajero Cartagena Hostel has been welcoming Booking.com guests since 30 Jun 2011. 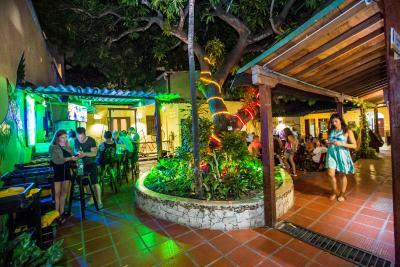 When would you like to stay at Viajero Cartagena Hostel? Property surroundings – This neighbourhood is a great choice for travellers interested in architecture, food and history – Check location Excellent location - show map Guests loved walking around the neighbourhood! 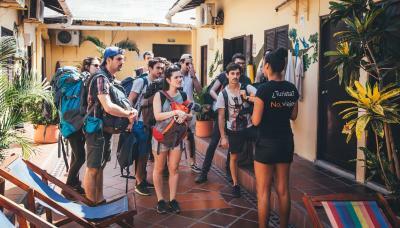 House rules Viajero Cartagena Hostel takes special requests - add in the next step! Viajero Cartagena Hostel accepts these cards and reserves the right to temporarily hold an amount prior to arrival. Credit card details are requested only as a guarantee, payment will be made at the hostel at check-out, cash and credit cards accepted. They shut down AC from 11:00 till 20:00 so if you want to have a nap it will be difficult because the weather. also there no electricity socket in the bed, if you want to charge your phone it will be far from you. Somewhat low pressure in the showers, if I have to think of anything, didn't bother me though. Everything was great but just keep in mind, there is no pool here so only beach lovers! The staff was extremely helpful and knowledgeable. The rooms were very clean and the atmosphere is fun and relaxing! Don't has a power plug near the beds. Few bathrooms for shared rooms and the cabinets do too much noises. The price of room is too much expensive. He is good, but the price is not worth is. The beer could be less expensive. They cleaned the toilets with the toilet brush after cleaning the inside..
Could use more space to have bigger lockers. Showers didn't always work - sometimes had low or no pressure. Could use more plug sockets in room.